Like Muslims in general, in Russia Muslims also welcome and run Ramadan with joy. They really appreciate the special month that comes only once a year. Some Muslim activities in Ramadan seen in some great mosques in Russia. In Moscow, the capital of Russia with more than 1 million Muslims, there are 4 large mosques. Namely Sabornaya Maskovskaya mosque and Moskovskaya Istoriceskaya Mechet which is the Mosque of History of Moscow. Then Memorialnaya Mechet Na Pokolonnie Gore and Mechet Yardam. There are some most popular drinks in Moscow during ramadan fasting. Especially, in bazar around mosques in Moscow. At Ramadan after dhuhur around 2 pm usually mufti guide to study together. This joint study lasted until adzan maghrib. While in the Memorialnaya Mosque there is discussion program about the study of Islam. There are also cultural performances from several Islamic countries as gathering place to cultivate Muslims in Russia. Some increase in worship activities in Ramadan that makes jama’ah spilled. There are bazar that peddling Muslim fashion, perfume, and food, making the mosque grew vibrant. Muslims are mostly workers and students from countries such as Azerbaijan, Kyrgyzstan, Turkmenistan, Kazakhstan, Uzbekistan, Tajikistan, Checnya and other Soviet countries, as well as countries such as the Middle East (Palestine, Yemen, Jordan, Kuwait and others), Turkey, Africa, Malaysia, Indonesia, and others. One of the many beverages provided at the great mosques of moscow is the kvass. 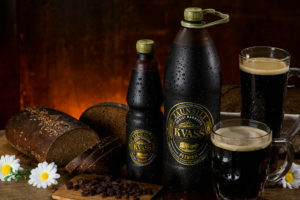 Kvass has been a traditional drink in Russia since ancient times. Classic Kvass has a texture and acidity like an acidic juice. This drink contains moderate alcohol. Kvass is made from fermented bread or rye, water, and herbs. There are also kvass that made from berries, beets, and other grains. Kvass is not only consumed as a drink. But also as a basic ingredient of summer soup like okroshka. For Muslims, the alcohol content in kvass is given little, so it is not intoxicating. With that path, kvass is worth consuming as halal drinking in Moscow. Even kvass is light enough to give to children. Instead kvass is healthier than soft drinks like juice with lots of sugar. Kvass is also an alternative to making use of stale bread. 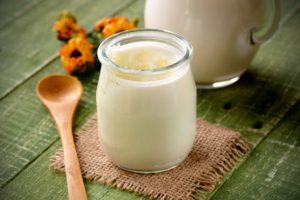 Kefir is a fermented drink that can be made from cow’s milk or goat’s milk Can also be made from coconut water or coconut milk. Like yogurt, this drink contains lots of yeast and healthy bacteria. The size of the kefir curd is smoother than yogurt so kefir is easier to digest. In addition to yeast and good bacteria, kefir also contains several amino acids, complete proteins and many minerals. Kefir comes from the Turkish language keif, which means delicious. There is also a suspect that he comes from the word kafur. Kafur is the name of a spring in heaven whose water is white, fragrant, and delicious. This word is contained in the Qur’an, namely Surah Al Insaan, verses 5-6. 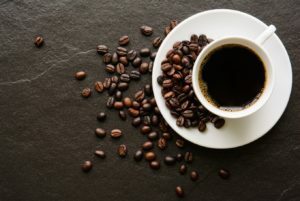 The tradition of drinking tea in Russia seems to be similar to that done in the community in Indonesia, which is to host warm tea when there are guests. But unique, Russian people do not use sugar to add flavor but use jam. As said to the founder of the tea-loving community, tea will be treated with jam. 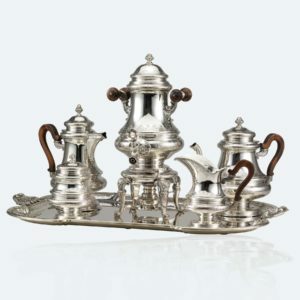 The Samovar is includes a tea-drinking device. It looks like a dispenser, but it looks pretty typical of Russia. The way it is used is also unique. Just place a pot of hot water on it and pour tea from the tap. Usually they use black tea. After it has been poured in a cup, newly harvested jam. People in Russia are most likely to drink tea in the winter outdoors.